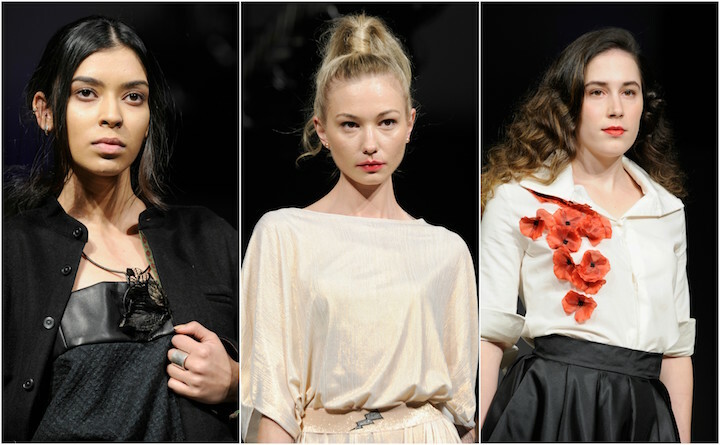 Vancouver, BC - Day five of Vancouver Fashion Week F/W W17 drew in collections from the luxurious streets of England, Denmark, Japan, Luxembourg and Spain. All collections showcased stunning materials leaving the mind to explosive interpretations. Fabric heavy head pieces and textured jackets demand the audience's attention as the Tengri models open Friday night’s show. Drawing inspiration from the first-hand experience of living in Khangai region of Mongolia, the brand brings a ready-to-wear and bespoke collection. Tengri instills elements of eastern and western influences, made from Tengri’s Khangai Noblem Yarns® Pieces which celebrate the vanguard of British textile innovation and London creativity. Nancy Johnson, the creator behind Tengri, centers her creations through sustainable and circular design philosophy, with soft, breathable and hypoallergenic Mongolian yak fibers. The universal use of patterns and knits allow this woodland forestry feel to appear in the clothes. The hues resemble that of the forest, and the clothes embark the appearance of nature. The path to her designer career is remarkable. 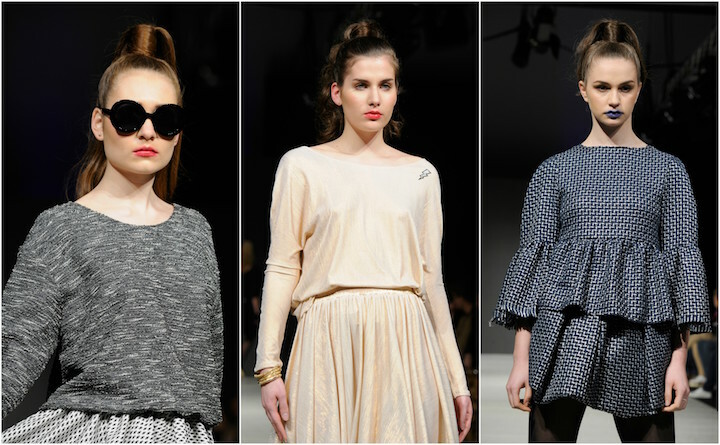 Camilla Askholm’s women’s wear collection channels a minimalistic, timeless sense of feminine elegance. The Danish designer aims for structure and tailors her pieces appropriately for a unique ensemble. With a vision for a more sustainable approach to fashion, the collection’s focal point is on lines, composition, fine materials, and crafted detailing. Basic pastel colouring is long gone and replaced with bold patterned pieces pared with velvet in-hues of green and blue. Trendy pieces paired with neutral toned fabrics grace the runway as the organic influenced collection allows the designers creativity to shine. WILDFRÄULEIN 71 F/W17 collection brings “Nouvelle Art Nouveau” to the runway. The Japanese designer showcases the strong yet transient beauty of women with a courageous man by her side. These are out of the box designs in a new manner. The use of eccentric details in small areas, such as the collar or tail end of the sleeves, highlight his skill and technique. Cooper Hotcooture collection pulls inspiration from its Luxembourg roots, offering a subtle sexiness. The brand builds on unique designs, handmade in Luxembourg, creating wearable couture meant for the everyday woman. “Made for her” fashion eliminates jeans and T’s with the replacement of chic and glamorous “everyday” clothing. There is a high culture feel with the clothing as the dresses float through the air. The fabrics and colouring is noteworthy as Cooper Hotcooture takes a high fashion approach. Inspired by her Spanish heritage, Arantxa Morcillo embeds the imperative influence in her most personal project ever; “AW/17 Memories.” Inspiration is drawn from old photographs reflecting beautiful moments of 50’s culture. The collection aims to re-contextualize Spanish tradition through rich and intimate materials, forms and silhouettes. The genuine curiosity to push boundaries of experimentation, craftsmanship and individuality are reflected in the designs, captivating the attention of the modern woman. The palette fulfills an elegance of whites and deep red Spanish flowers. The fitted skirts and flowy ensemble’s incorporation of satin is the perfect fit. The merging of femininity and the males black suit is the tale of ARANTXA MORCILLO.